How do I figure out what I’m called to do in life? This is a question that many of our students face, and if we’re honest, it’s one that we ourselves sometimes wonder about. Lynn Hunnicutt, professor of economics at Pacific Lutheran University, founding director of PLU’s Wild Hope Center for Vocation and currently Assistant Director for NetVUE, shares some of her personal and professional insights about this question in a new essay published in Intersections. But then the piece takes what some may consider a surprising turn. Lynn concludes by noting that these four elements are naturally and directly tied to the concept of civil discourse, and suggests that fostering civil discourse on our campuses might also introduce students to vocation and its discernment. 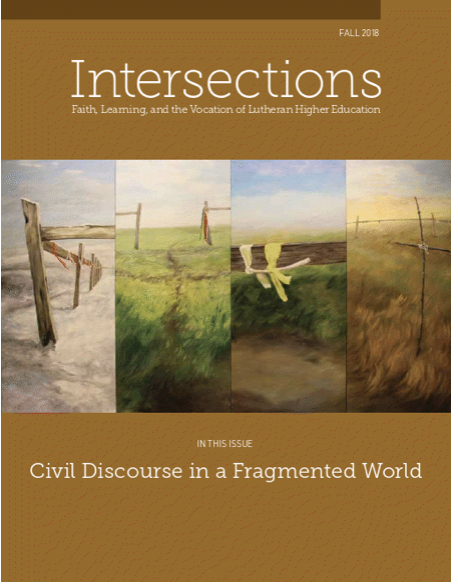 The journal Intersections: Faith, Learning, and the Vocation of Lutheran Higher Education is edited by Jason Mahn (a regular contributor to this blog), and contains a number of vocation-related articles that might be of interest to readers both within and outside of Lutheran circles.